Sid the Science Kid is a great site from PBS kids, a companion to their TV program. 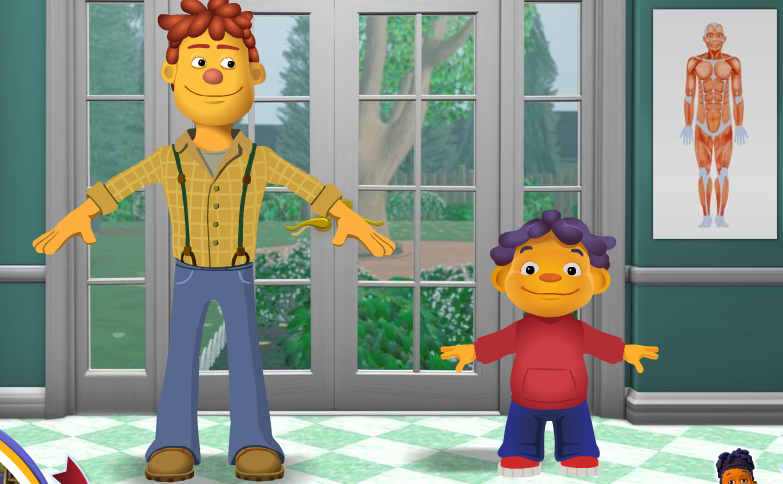 The website has clips and full episodes of the series, which illustrates science concepts in kid-friendly ways. The games on the site can be used to target a variety of language skills, including but not limited to auditory comprehension (audio messages are given and the student needs to select items that correspond with the 5 senses, also there is a "Sid Sez" game about muscles, pictured below). This would be an appropriate site to use in correspondence with the K-1 science curriculum topics. Check out this site- what other skills do you see you could target here when "looking through a language lens?" Thanks, Chris- great comparison to "eat this, not that" haha- I will definitely listen to that installment of A.T.TIPSCAST!